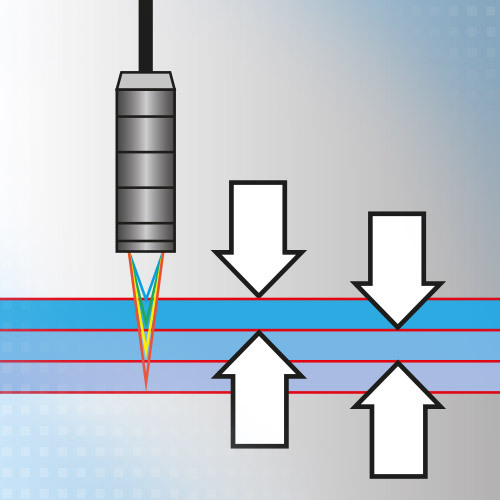 Confocal chromatic sensors are used for one-sided layer thickness measurements. The confocal measuring principle enables the evaluation of several signal peaks, allowing the thickness of transparent materials to be determined. With the multi-peak measurement feature, the confocalDT controller reliably determines the thickness of protective coatings and paint layers.